This video from United States Geological Services (USGS)discusses recent research on the impacts of urban development on streams ecosystems. They found that the number of fish and aquatic insects "declines in urban and suburban streams at low levels of development — levels often considered protective for stream communities." 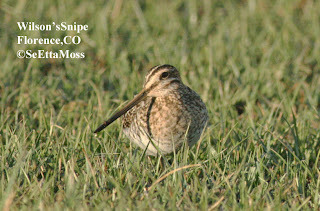 Though I usually find Wilson's Snipe in the Canon City, CO area in most winters, I couldn't find any this past winter which though mostly warmer than usual had a significant cold spell with consecutive well below zero temps (more than 15 below). I suspect that the snipe in these pics migrated into the area this week. I found 3 Wilson's Snipe foraging together in the flooded fields in Florence a few days ago. They were sharing this area with migrating Lesser and Greater Yellowlegs and Snowy Egrets that I posted about below. 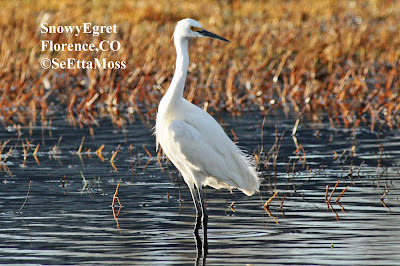 A few Snowy Egrets stop-over in the Canon City, Colo area during spring migration and only a few as wetlands and other bodies of water are in short supply in this area. A favorite stop-over spot is the agricultural fields just east of Florence where they still practice flood irrigation. When these agricultural fields are flooded with irrigation water they become like wet meadows and are ideal for waterbirds and waterfowl alike. If you have enjoyed the live streaming video of the Bald Eagle nest or even the captured videos of these eagles below, please make a donation to to Raptor Resource Project . They are the non-profit group that is bringing us these fantatic live and captured videos and they are doing great work in conserving raptor populations. Don't forgot to turn off the live streaming video when you are not watching--don't waste broadband . You can still keep the video view screen open--just click the two horizontal lines on the bottom left of the video view screen then you can toggle it back on later as an arrow will replace the lines when the live streaming video is off. OUTWARDLY, there’s nothing momentous about filling a backyard bird feeder with seed. 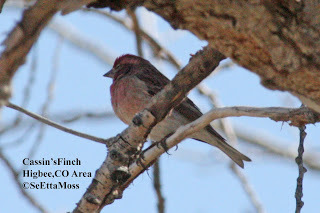 This simple act takes mere minutes, yet provides hours of backyard birding at little cost." Read the rest of this provocative article. 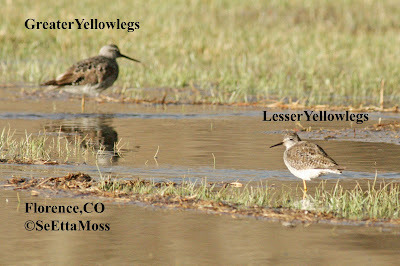 Though most of the Yellowlegs that are migrating through my area of Colorado are Greater Yellowlegs, I did get this pic with both a Lesser and a Greater in the same frame that shows some of the differences in these similar species. The bill on the Lesser is much shorter relative to the size of it's head than the Greater. The bill on the Greater shows a slight upturn and though more distant in this pic, it is larger in size (tho a very difficult difference to judge in the field when Lessers not present).